On the first day of the Paris Air Show at Le Bourget, MBDA launched its new SmartGlider family of guided weapons, optimised to counter anti-access strategies and other emerging battlespace threats. Planned to become available for fast jets no later than 2025, SmartGlider is part of a family of all-up-round glider weapons, with folding wings and a range of more than 100 km. This new generation of air-to-ground weapons is designed to counter new networked short- and medium-range surface-to-air threats, as well as moving/relocatable targets or hardened fixed targets. The compact family member, SmartGlider Light, is 2 meters long and weighs 120 kg. Twelve to 18 SmartGlider Lights can be carried on an aircraft thanks to a Hexabomb Smart Launcher (HSL) capable of managing reactive strikes without affecting the pilot’s workload. As such, the SmartGlider Light will allow first-day-entry by saturating and destroying enemy air defences. MBDA also prepares a 1,300 kg SmartGlider Heavy able to carry a multipurpose warhead of more than 1,000 kg to deal with large and hardened infrastructure. “Designed for use in high volumes to saturate air defences, SmartGliders are gliders that, thanks to a high lift-to-drag ratio and their integrated guidance and navigation, will feature a range of more than 100 km, allowing the combat platform to stay at safe distance from the enemy defences,” explains François Moussez, MBDA military advisor. 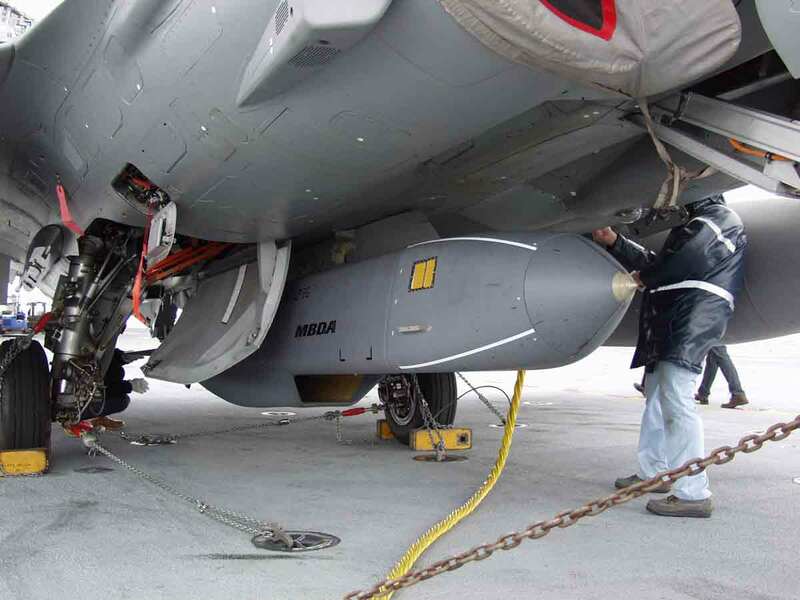 Antoine Bouvier, CEO of MBDA says it has succeeded in designing a truly efficient weapon for use in high volumes that perfectly complements the SCALP/Storm Shadow and its future follow-on FC/ASW that is being developed through Anglo-French co-operation.